Mr. Dark attended Michigan State University and graduated with a Bachelor of Arts in Criminal Justice in 2012. Mr. Dark graduated with his Juris Doctor from DePaul University College of Law in 2016. In law school, Mr. Dark was a finalist for the William J. Bauer Moot Court Competition at DePaul. Mr. Dark was also a semifinalist at the Harold and Joyce Greene National Security Moot Court Competition at George Washington University. Mr. Dark also served on DePaul’s Appellate Moot Court Society’s student board and was selected for membership in the Order of the Barristers. The Order is highly selective and provides national recognition to the top advocates at their respective law school for excellence in oral advocacy and brief writing. Further, Mr. Dark also was a staff editor for DePaul’s Journal of Art, Technology and Intellectual Property. Mr. Dark was admitted to the Illinois bar in November, 2016. Mr. Dark was admitted to the Indiana bar in 2017. Mr. Dark was admitted to the Northern District of Illinois in November, 2018. 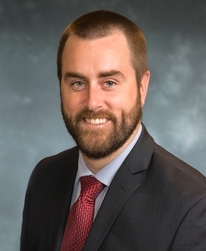 John Dark is a litigation associate of Lipe Lyons Murphy Nahrstadt & Pontikis Ltd. who focuses his practice on the defense of premises liability, construction liability, transportation liability, and product liability claims. Mr. Dark has experience working in state and federal courts, with the former being done at both the trial and appellate level. Mr. Dark believes in taking a hands on approach with his clients by working closely together with continuous communication in order to provide the most effective and efficient defense possible. Mr. Dark considers the keys to an effective and successful defense to be thorough preparation and productive collaboration with the client, and he values both as a means to building a foundation of trust and confidence between himself and his clients. Prior to joining Lipe Lyons, Mr. Dark spent multiple years as a litigation attorney for a Chicago-based firm defending insurance carriers and their insureds in personal injury and property damage claims arising from motor vehicle collisions, as well as product liability and premises liability claims. In his tort defense practice, Mr. Dark has experience defending automobile personal injury claims against commercial carriers, small businesses, car dealerships, and personal automobile owners. Mr. Dark has successfully arbitrated and mediated dozens of cases in the aforementioned practice areas and obtained favorable judgments for his clients. He has successfully tried and obtained a defense verdict in a property damage case. Mr. Dark has successfully obtained dismissals for his clients through the use of dispositive motions in Cook County and neighboring jurisdictions, including motions regarding agency of drivers and independent contractors. Mr. Dark has successfully obtained summary judgment in a premises liability case and further assisted in defending and winning the appeal to Illinois’ First District Appellate Court.